Love, Lenore: fashion feature: Hannah. Hannah makes an exceptional model and she has incredible style just like you! 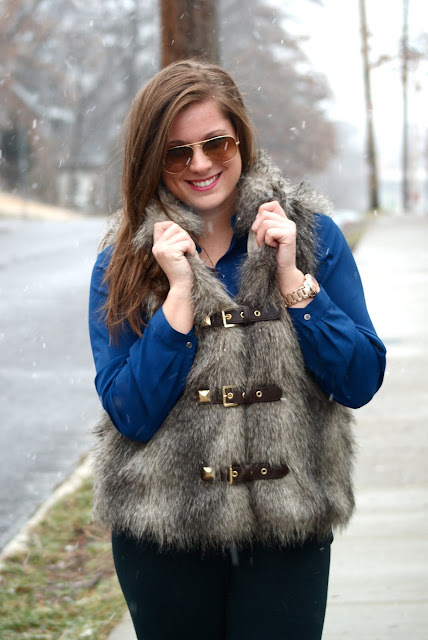 Loving the furry vest! 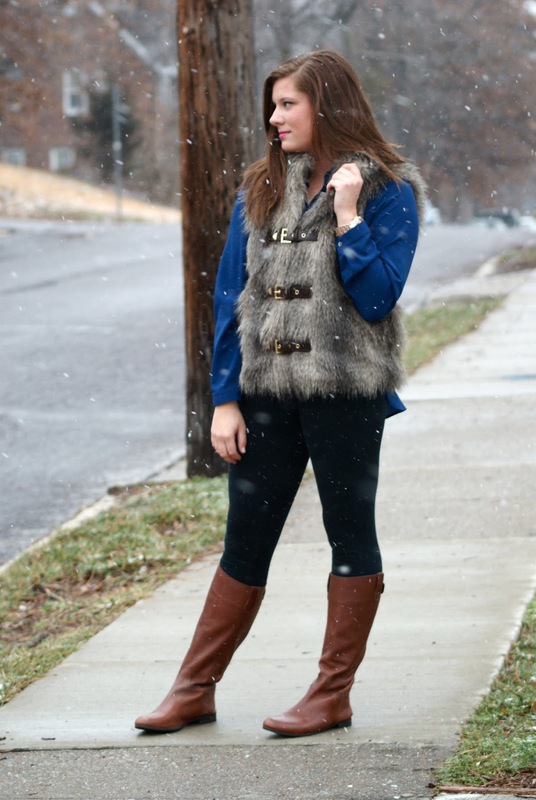 the fur vest is awesome. I love the snow flakes in these photos, it makes her outfit that more glamorous! 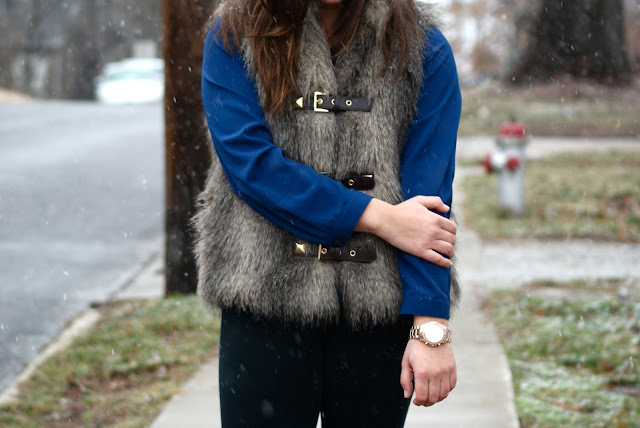 That fur vest is G O R G E O U S! I love that vest! Looks so cold, but I love how you snapped the pics mid-snow.